In Is it a Toilet or a Toy-let? we talked about what I call the Korean Super Bowl: a modern-day toilet with all the bells and whistles necessary to replicate a full service car wash experience for your tush. Star trek control board included. But if you thought dropping a dong (똥) was fun, wait ‘til you experience the Korean Shower. – Or the lack thereof. Upon entering a home bathroom for the first time, you will notice your Korean host kindly gesturing towards the floor. No, he’s not asking you to take a dump on the ground. He’s pointing at a pair of plastic slippers you will need to climb onto in order to avoid getting your feet wet. Yes, the floor is wet; and no, it’s not because of the toilet’s bidet function. I know you feel suspicious about this wet floor, but there is no need to be. Korean bathrooms are without a doubt the cleanest bathrooms I’ve ever seen. Why? Well, that’s not exactly accurate. Home bathrooms do have showers; they just aren’t separated from the rest of the bathroom. In other words, the bathroom itself is where you shower. 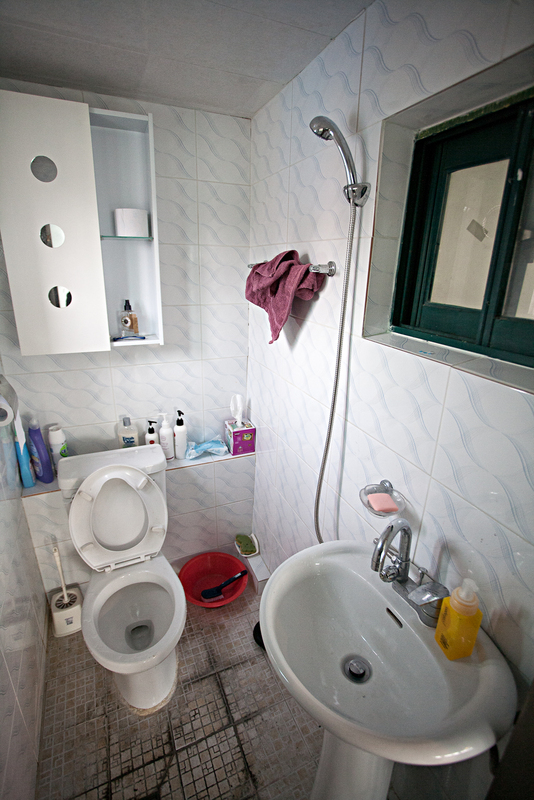 The idea of showering directly in front of your toilet is something most westerners need time to get used to. However, once you get over the initial weirdness of it all, you will love the double benefit of being able to hose down your entire bathroom while checking yourself out in the mirror as you shower. Question: Have you had any weird or funny bathroom experiences? Share your story in the comment space below! I have been in an out door toilet … I love your article and the pictures. Thank you. Creative and interesting as always. I miss Korean bathroom. I love the gadgety toilets!